We asked you if you can easily go without Google Pixel 3's glass body and flagship chipset if the price of a midrange Pixel 3 Lite is right, be it only for the stellar camera and the pure Android experience. Well, more than half of our 1062 respondents answered in the affirmative, though we suspect it's contingent on the final price that Google asks for its rumored 3 Lite and 3 XL Lite, or whatever they are named. As for the $400-$550 price range you indicate are willing to pay for Google's computational photography genius wrapped up in a midrange package, it somewhat clashes with the rumored price tag of up to $600, so we'd have to wait and see. Ever since Google's experimental Nexus phones sold at or near cost to spread the Android cheer far and wide morphed into the flagship Pixel line, the situation with pricing began to go south. We are now at the moment when Google asks for its latest somewhat underspecc'd cell phones a starting price of $800, and is now in the "thousand dollars phone" club with the 128GB Pixel 3 XL. Granted, these two puppies carry one of the best mobile cameras around and are a traveling exhibit of Google's computational photography chops that started it all. Still, not everyone is into snapping pics and comparing the results with the iPhones and Galaxies of this world as we are, while the rest of the specs leave something to be desired at that price. Aren't the regular pixels also pretty midrange by the hardware? 4GB RAM, 64GB storage, single camera with average hardware and low-midrange design aren't really comparable to other high end phones. 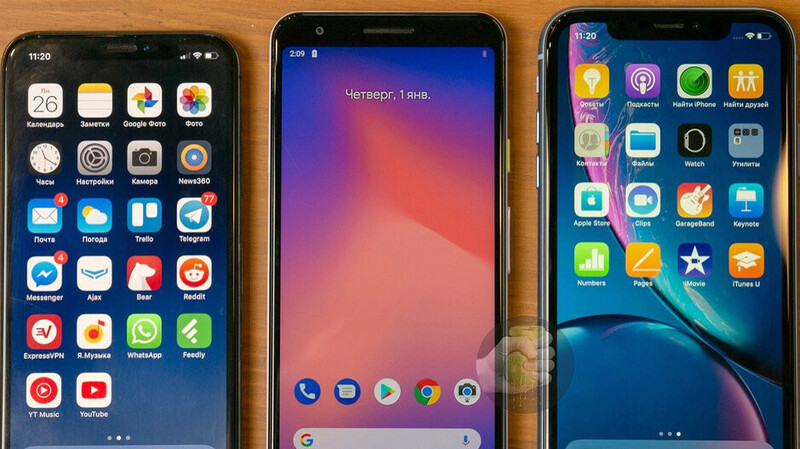 Compare the hardware to say, a Huawei mate 20 pro, and it's a bloodbath. I can't imagine how bad the hardware will be with the midrange pixel. Probably moto G level. RAM is the only "mid-range" spec. Phone is available with 128GB of storage. SD 845 in the pixel 3, with great quality screens. And clearly you've never seen the camera results from the pixels. Google's HDR+ processing sets the standard for smartphone photography. And now with night sight, I take awesome night photos. I was talking about the hardware here. The camera hardware is mediocre at best. It has a 1/2.55" 2 generation old sensor (IMX 300 series, current is 500) and f/1.8 aperture. Sure, the software makes the camera amazing, but it's not the hardware. Samsung uses f/1.5 aperture that lets in a lot more light. And Huawei is on a different realm altogether with their 1/1.7" sensor. 128GB is the starting configuration for Note 9 and Mate 20 pro. Just take that into account for a minute. Also, both support expandable storage. My point is that the hardware is mediocre at best. If it ends up being $600, that's a no-go. Mid range devices are not $600. $500, max. Why not a more reasonable Pixel 2 pricing? They're currently just US$50 cheaper than their Pixel 3 counterparts on Google Store. Does anyone actually buy them at those prices today? I love google software but they need to do something about their hardware.... I’ve owned a pixel and pixel xl and they both had to be returned because of hardware issues.